Easily manage your faxes from the web with the VTONE Fax Pro Module. A fax machine is no longer necessary to fax. With the VTONE Fax Pro Module, you can send and receive faxes right from the web browser on your computer. Simply type in a phone number, upload your PDF document you wish to send, select your cover sheet, and click send. You can even include a personalized message prior to sending as well. Have all inbound and outbound faxes stored on the phone system for easy viewing and archiving. 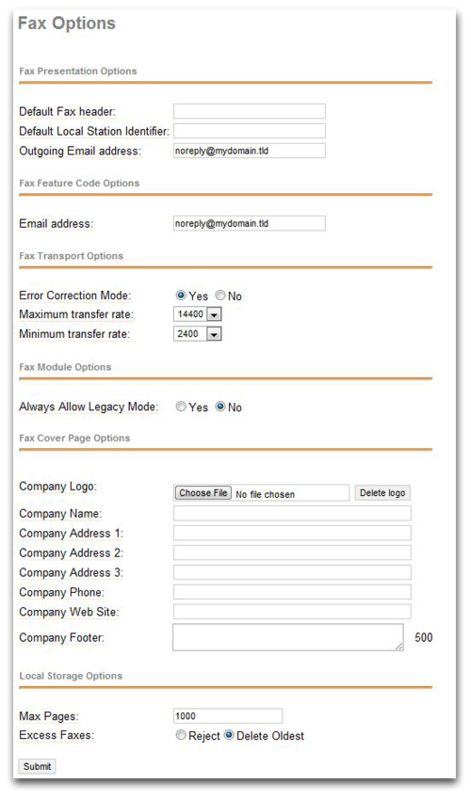 Create companywide fax coversheets that allow easy customization for each user.